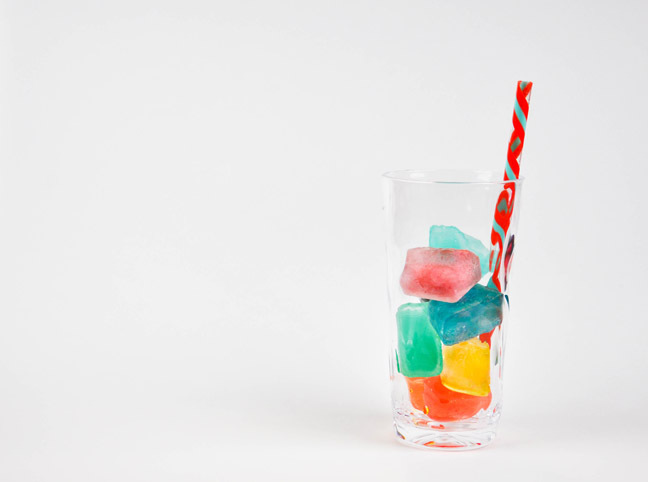 Who wouldn’t love to sip on a rainbow? 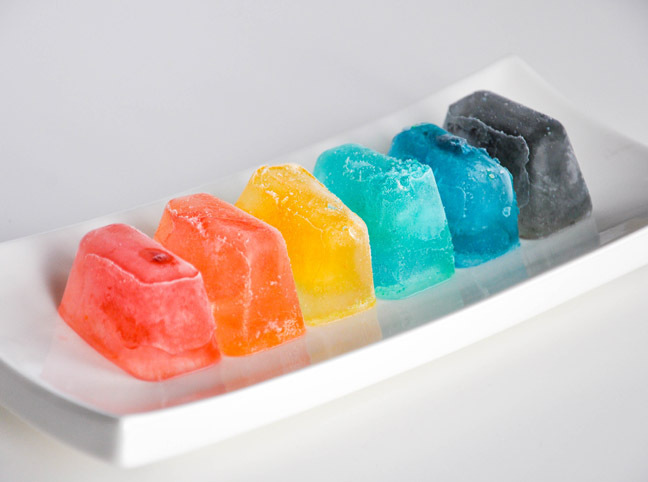 I like making these easy rainbow ice cubes for my kids on St. Patrick’s Day, or I’ll use this DIY as an excuse to brighten a boring day. 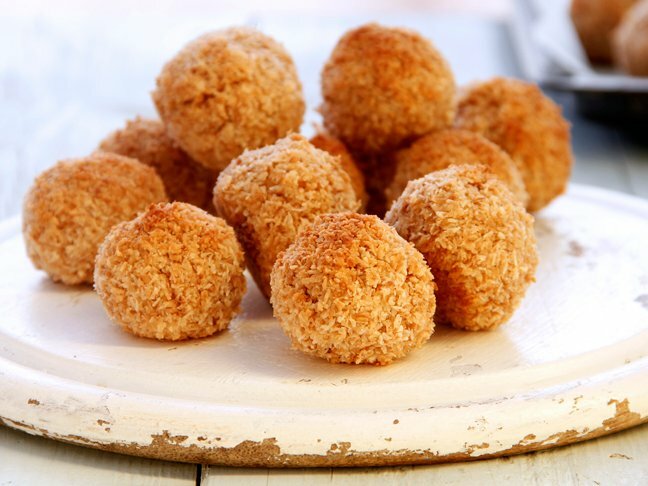 I’ve added these to a punch bowl at a birthday party, too—it makes a fun, colorful impact. 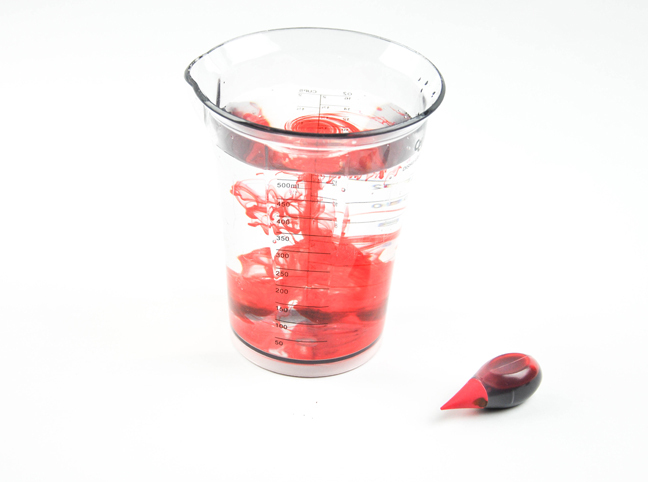 Step 1: Fill your container with water and add 5–10 drops of food dye. 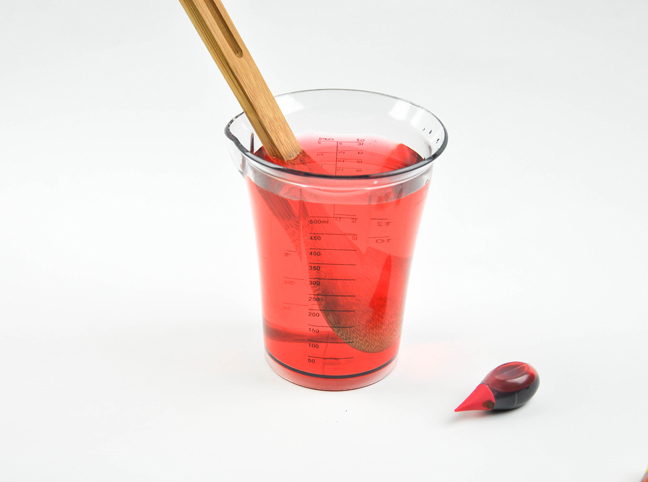 You will have to mix dyes to achieve certain colors. Step 2: Stir to distribute the color evenly. Step 3: Pour into ice trays. If you don’t want to use a whole tray of one color, just split the colors up. 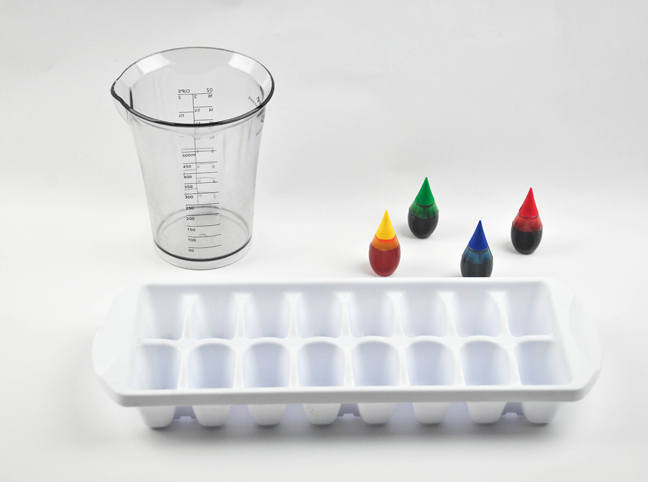 You can even do three colors per tray, making sure not to intermix. 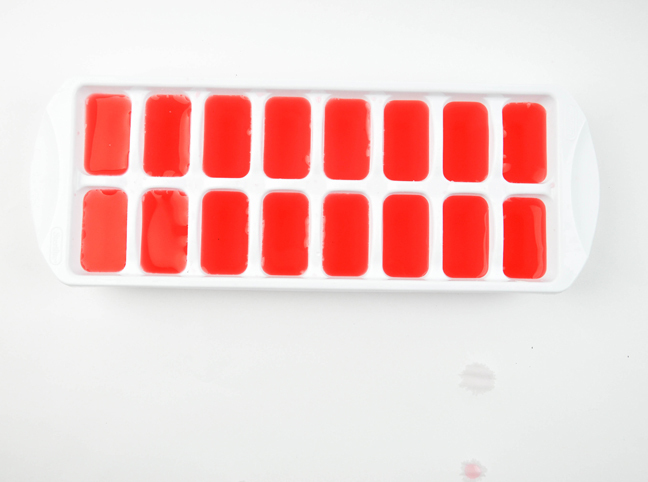 Step 4: Once frozen, drop the ice cubes into a container, and move on to the next color. 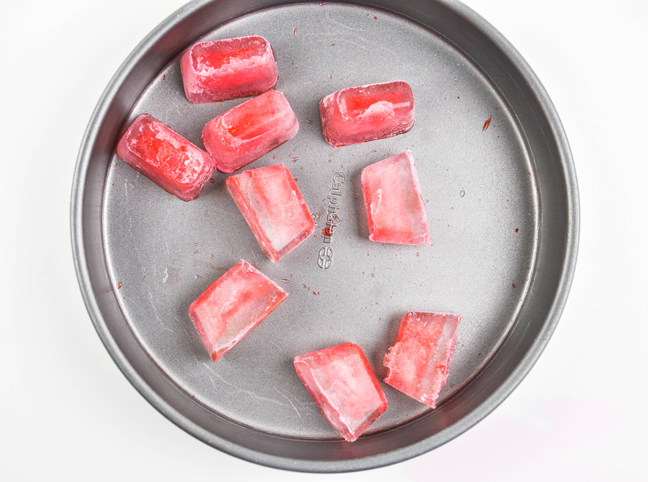 Keep these cubes in the freezer until ready to use. I can’t take the beautiful colors! Step 5: Put the cubes into a transparent glass for best results and fill with your favorite clear liquid.